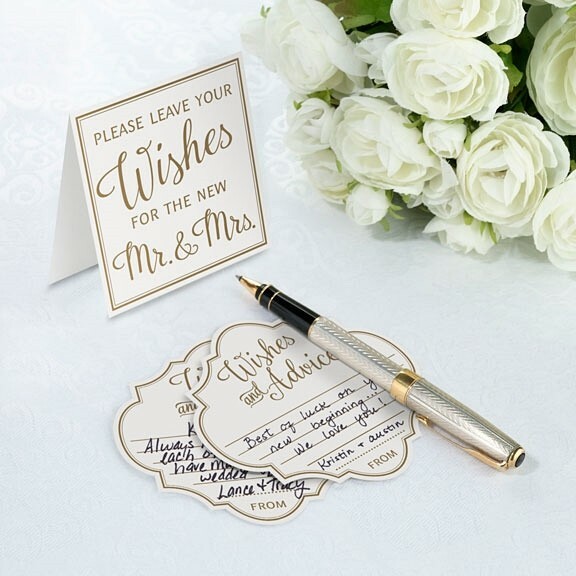 These ivory and gold advice cards are designed to be a sweet memento that the bride and groom will cherish long after their wedding day. Guests are encouraged to leave a their well wishes or other special message on each card. PLEASE NOTE: Sold as a set of 48 and prices quoted below are per set.